Eiffel Tower, Statue of Liberty, Sydney Opera House … one thing is for sure: Every city has certain iconic, visit-worthy attractions. There's a reason they are popular with visitors and if you're visiting a new city, you don't want to miss any of them. If you are visiting Budapest and only have a day or two to explore the most iconic parts of the city, you've come to the right place. This guide will get you to the best must-see places. In the interest of full disclosure, when we visited Budapest we followed a local's advice: Walk everywhere. True, that. 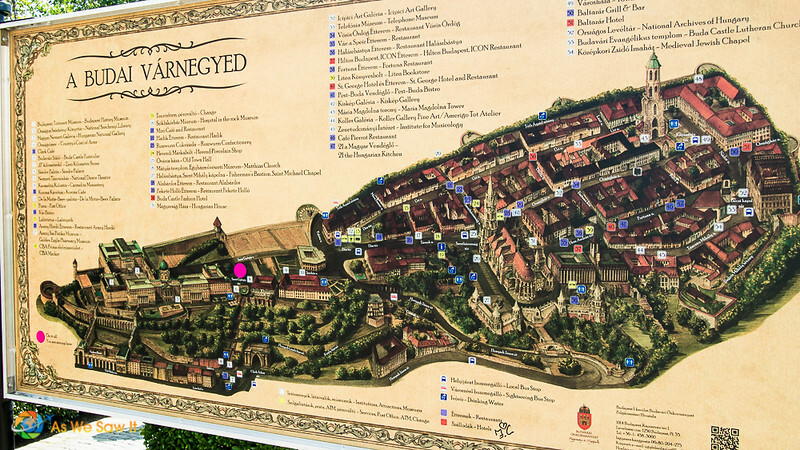 Budapest is very walkable and we never needed any of the public transportation. The whole time we were there, we walked … and burned off some of the calories we’d gotten from all the great Hungarian wine we enjoyed. The iconic Chain Bridge was the first bridge to span the Danube and connect Buda and Pest. 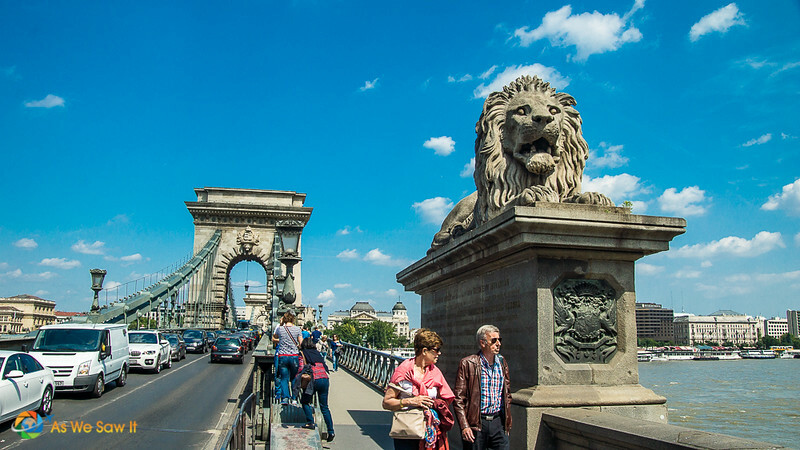 Statues of lions guard each end of the bridge, but don’t let that stop you from crossing Chain Bridge on foot. It’s worth it: The view is beautiful from the middle of the bridge. Chain Bridge at night. That's Buda Castle on the left. Cross the bridge to the Buda side and you’ll be at Clark Ádám Square. Here you’ll find Hungary’s Mile Zero and a funicular. Buy a ticket and ride to the top of Buda Hill. This is where Buda began in the 13th century, and you can still find traces of its medieval roots. Buda Castle – The medieval castle is long gone, thanks to fires, invasions and wars. That said, the present-day Buda Castle is worth visiting, either with a guided tour or on your own. The extensive Buda Castle Labyrinth system beneath Buda Castle used to be must-see sight. Unfortunately it was abruptly closed to the public in 2011. 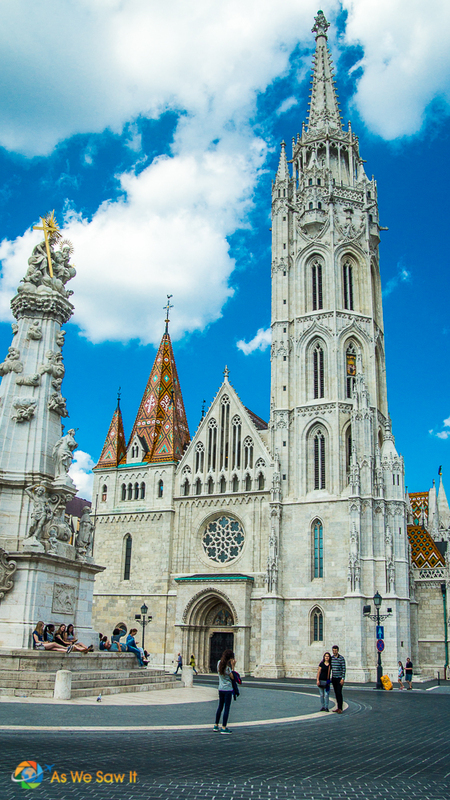 Mathias Church – Since it was built over 700 years ago the Roman Catholic Matthias Church has seen several coronations and royal weddings. It was named for the country’s revered King Matthias, who was married here (twice). Tourism is strongly discouraged during church services. 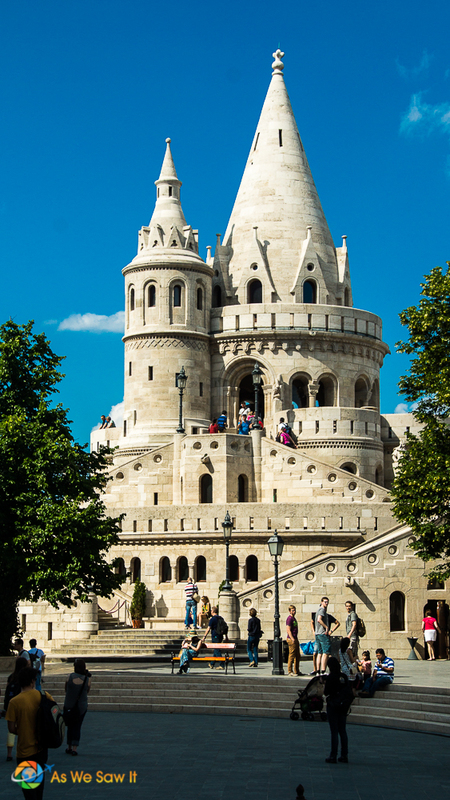 Fisherman’s Bastion – Fairytale? You bet it is. This Disney-esque lookout was named in honor of the fishermen who kept watch over the city in days gone by. 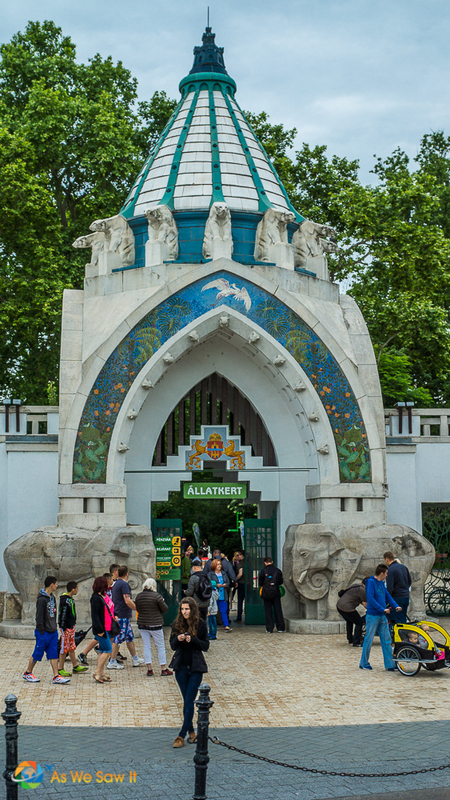 Its seven yurt-like turrets symbolize the seven Hungarian tribes that first arrived. Most people stick with the lower levels, which offer excellent vistas of the Danube River and Pest. If that’s not enough, be prepared to pay to visit the top level. Café Ruszwurm – Okay, not really a must-see sight, but what is a visit without food? 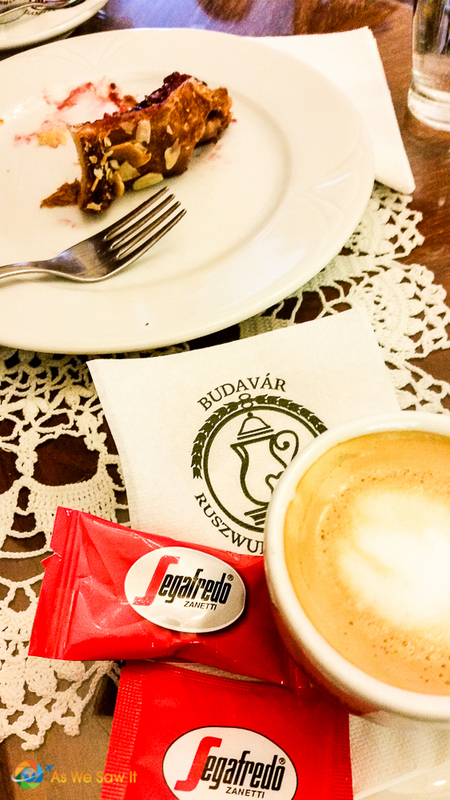 To experience café culture Budapest-style – and you really should – head nearby to the city's best-known confectioner, Ruszwurm Cukrászda. Not only is it one of the oldest traditional cafes & confectioners in the city it also offers an amazing selection of traditional pastries, coffees and cakes. Sit inside and soak up its historic ambiance, complete with antique wood furniture and waitresses dressed in traditional garb. Not only does Budapest have a massive subterranean cave system, it is also blessed with a plethora of mineral-rich thermal springs. 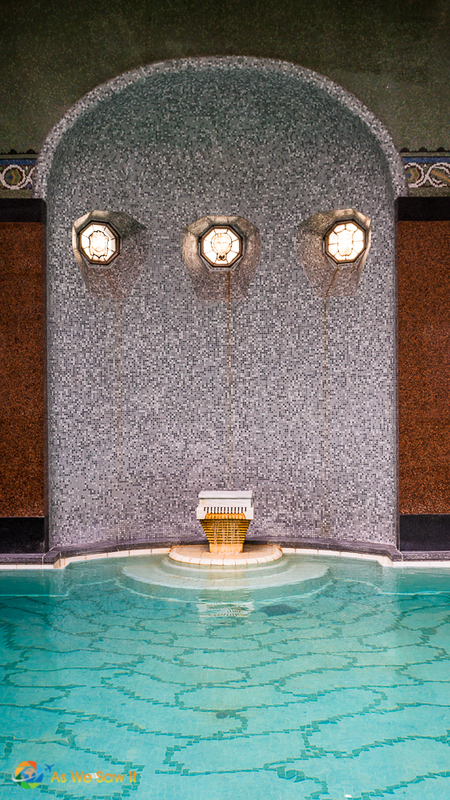 Some of its spas date as far back as the 16th century. 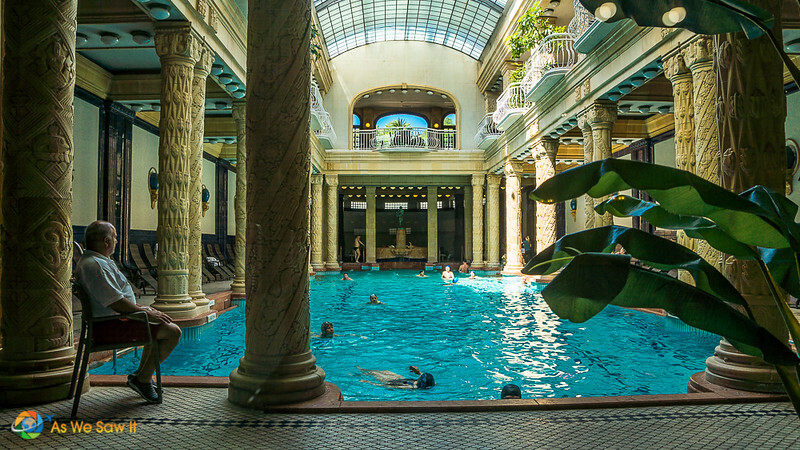 Our favorite spa resort is Gellért Baths, built a century ago. 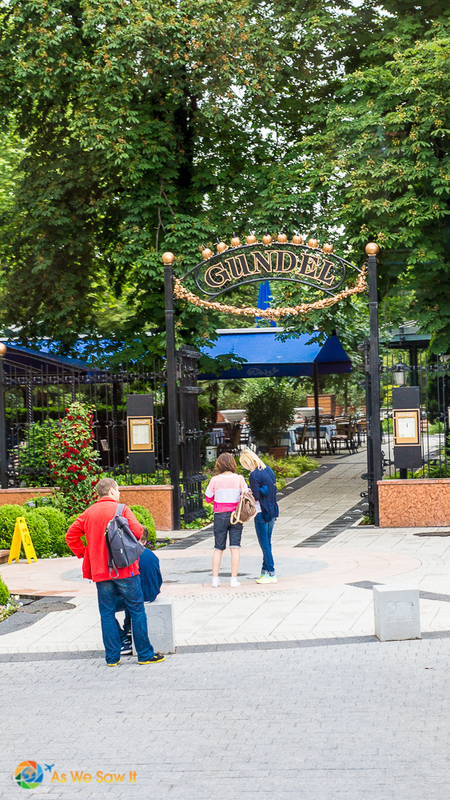 It is connected to the beautiful Art Nouveau-style Danubius Hotel Gellert. Here you can indulge in any number of beauty and health treatments for a pittance. 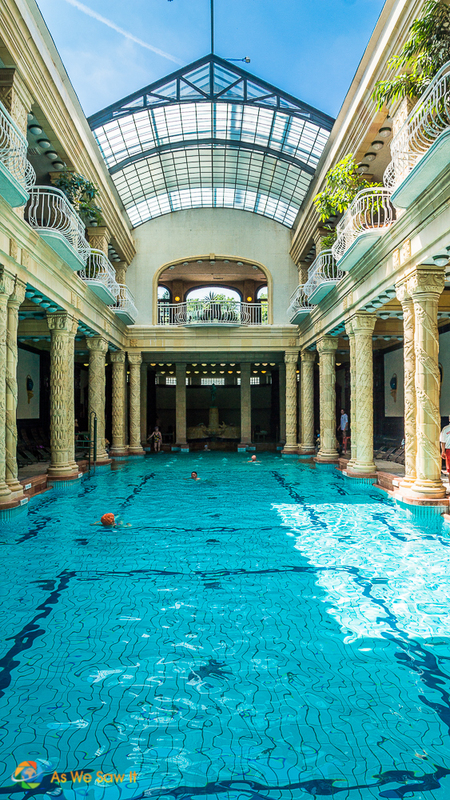 Most memorable: a Roman-style swimming pool in a sun-lit, columned gallery. It’s probably the most elegant spa in the city. Gellért Hill offers one of the most impressive panoramic views of the city. Mostly parkland, partly residential, the hill is also home to a variety of monuments and a Habsburg-era citadel. Gellért Hill is part of the “Banks of Danube” UNESCO World Heritage Site. Getting to the top can be a workout in itself, or you can take a tram or bus. Gellért Hill was named after Saint Gerard, a missionary who was killed there in 1046. He was put in a barrel and rolled down into the river from the top of the hill. 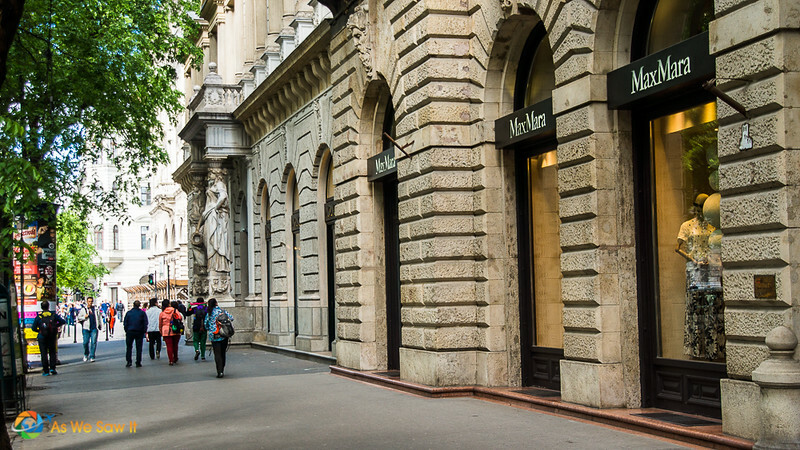 Andrássy Avenue is to Budapest what Fifth Avenue is to New York, but with one notable exception: Andrássy Avenue is part of a World Heritage Site. 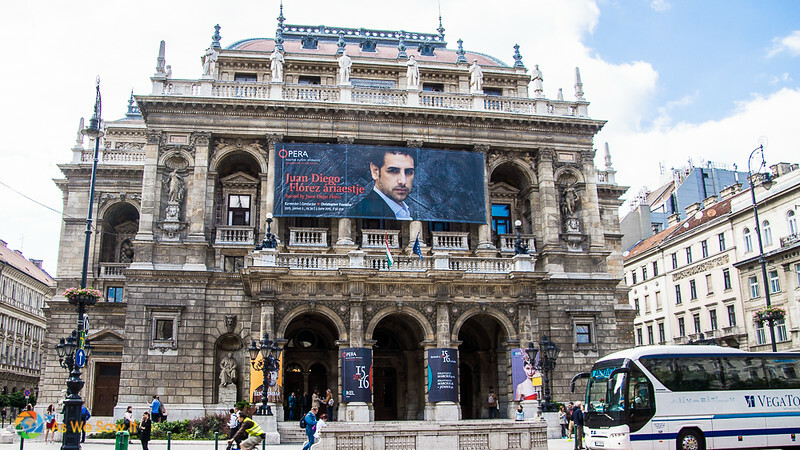 The street is full of beautiful, turn-of-the-century buildings, such as the State Opera House. Walk along this long avenue and you’ll see exclusive shops, quaint cafés, museums, embassies, and homes. 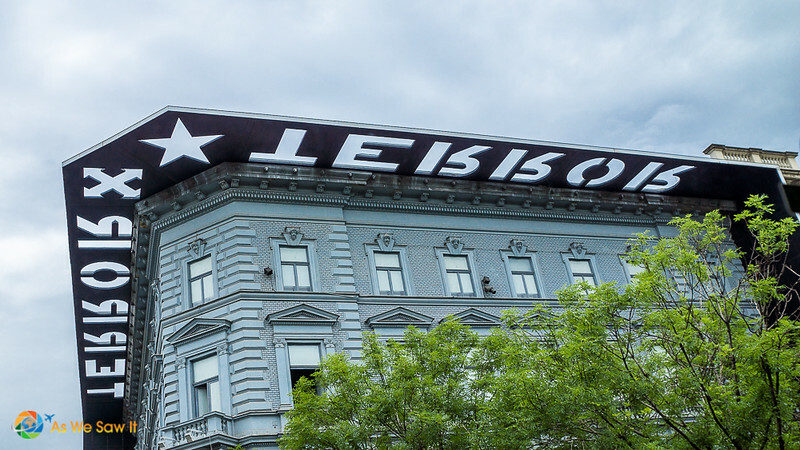 Also on Andrássy: the building that once served as Nazi party headquarters and waslater occupied by the Hungarian version of the KGB. These days it houses a museum that contains mementos of both regimes. Marking one end of Andrássy Avenue and flanked by two art museums, Heroes’ Square is one of the most popular tourist sites in the city, day or night. 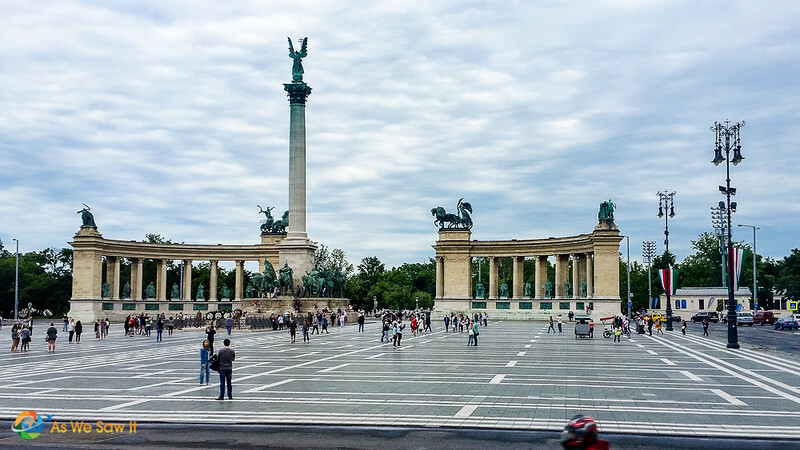 Heroes Square commemorates the 1000-year settlement by the seven Magyar tribes. Buried here is Imre Nagy, former Prime Minister of Hungary, who was executed in 1958. 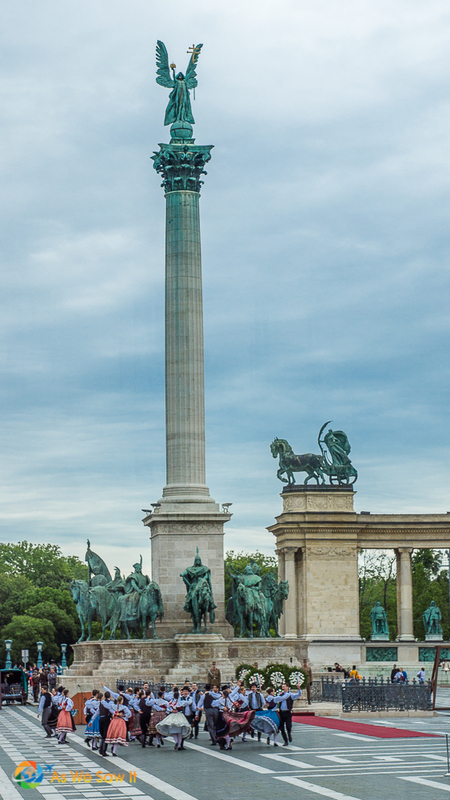 Heroes' Square is also the entrance to City Park, the largest park in Budapest. Within its grounds is a castle, zoo, amusement park, circus, an exclusive restaurant and Szechenyi Baths, the largest thermal spa in the city. 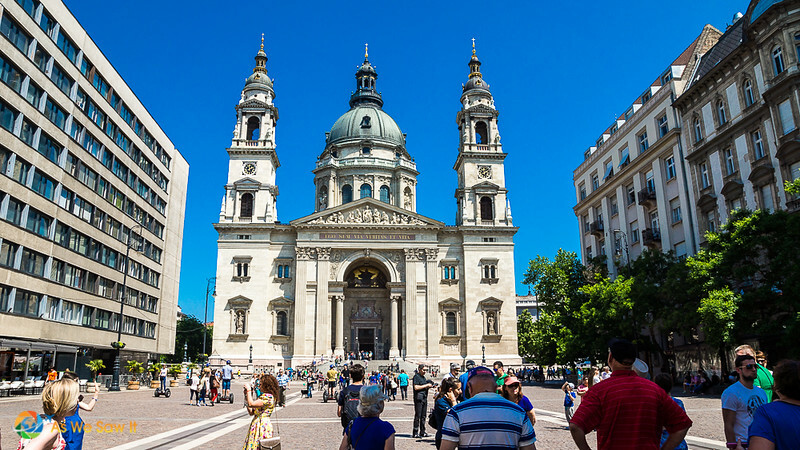 No, Hungary’s largest church is not named for the first Christian martyr. Hungary's founding king, Stephen I, is venerated as the country’s patron saint. St. Stephen's Basilica contains the “Holy Right,” the king’s mummified right hand. Once hidden, it is now on display in a specially designed glass case. 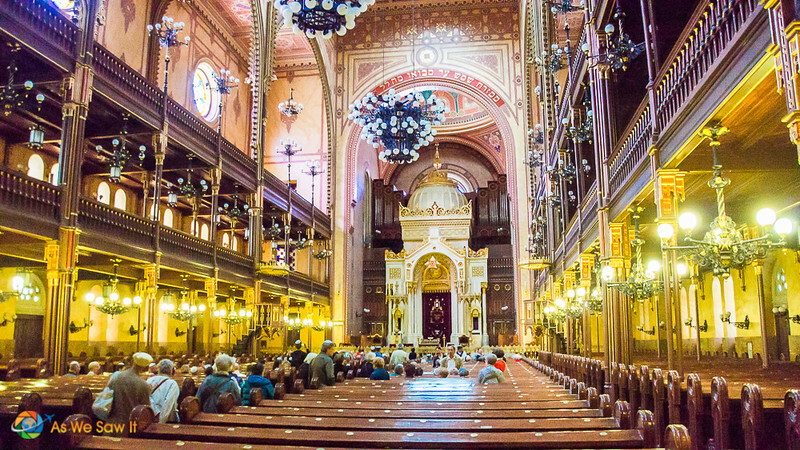 Budapest is home to the largest Jewish synagogue in Europe (only New York's Temple Emanu-El is larger). Its two Moorish onion-domed towers make it one of the most easily-recognized buildings in the city. Used as a stable during World War II, it was reconstructed in the 1990s, thanks in large part to Estée Lauder and Tony Curtis, who wanted to honor their Hungarian-Jewish roots. Tours are available. Find all of our Dohany Street Synagogue photos here. Everywhere you look the Neolog Jewish synagogue's ornate interior is full of color and gleams with gold. Unusual features for a synagogue. Most distinctive: a huge, 5000-pipe organ, once played by virtuosos Franz Liszt and Camille Saint-Saëns and now by a Christian organist (to avoid violating the commandment against working on Shabbat). Emanuel Tree – Each leaf on this weeping willow tree sculpture is inscribed with the name and tattoo number of a Hungarian Jew killed during the Holocaust. 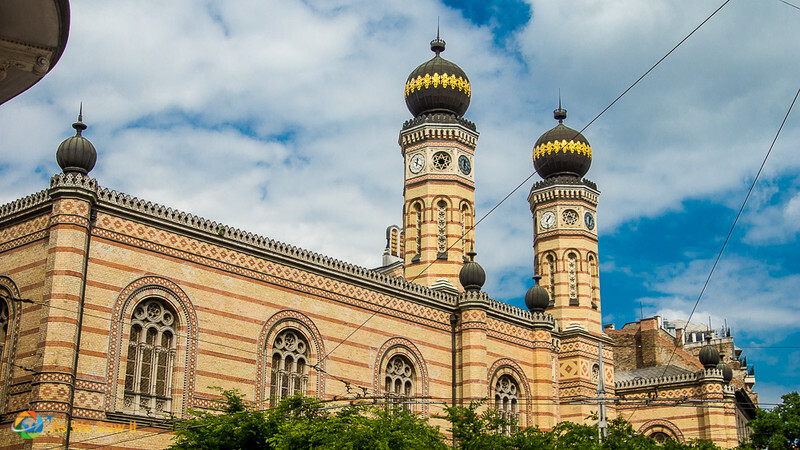 Jewish Museum – Built on the site where Theodor Herzl's house once stood, the Museum features Jewish traditions, costumes, as well a detailed history of Hungarian Jews. Heroes' Temple – Heroes' Temple is a memorial to Hungarian Jews who gave their lives during World War I. In its backyard is the Jewish Cemetery. Buried there are over 2,000 people who died in the Jewish ghetto during the winter of 1944-45. The beautiful neo-Gothic architecture of the Hungarian Parliament Building was partly inspired by the Palace of Westminster in London. Budapest’s current legislation forbids anything to be built higher than its dome, but St. Stephen’s is the same height. 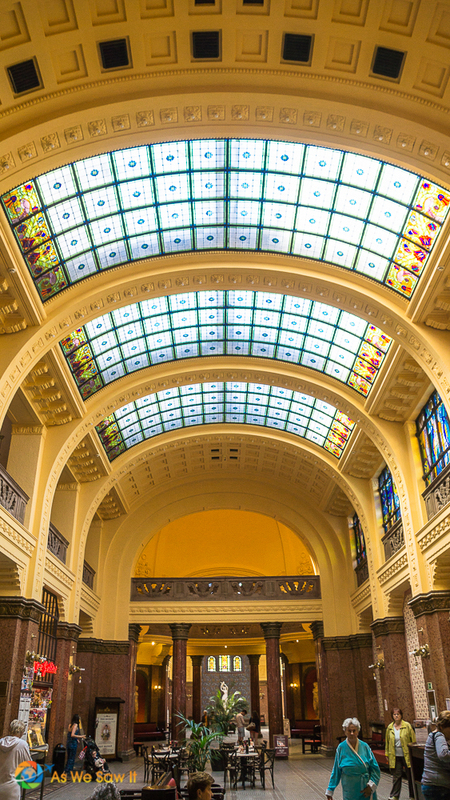 It’s been called “one of the most beautiful legislatures in the world, a cathedral of democracy.” Take a tour through the building and see if you agree. The Banks of the Danube have been designated a UNESCO site, partly because of the Danube Promenade that runs along the riverbank in Pest. Lined by nice hotels it offers remarkable views of Buda. 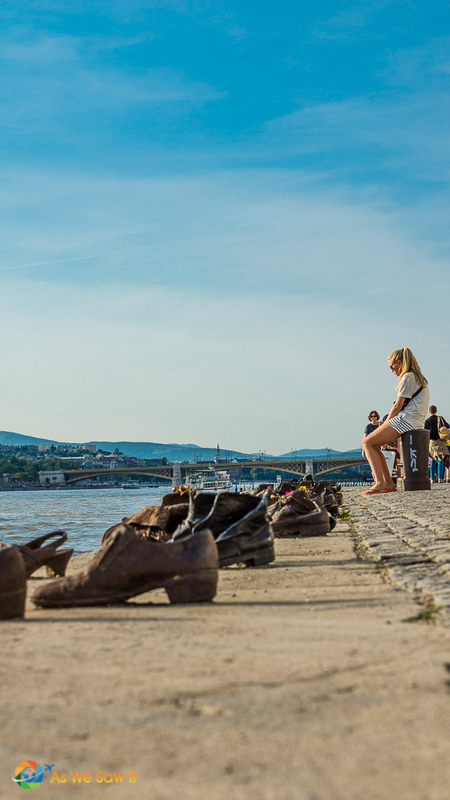 North of Chain Bridge is a moving monument called Shoes on the Danube, that memorializes a horrific event. In the winter of 1944 the ruling Arrow Cross Party rounded up Jews, forced them to strip naked on the banks of the Danube and shot them so that they fell into the river to be washed away. How much time should be spent in Budapest? Hi Karen. 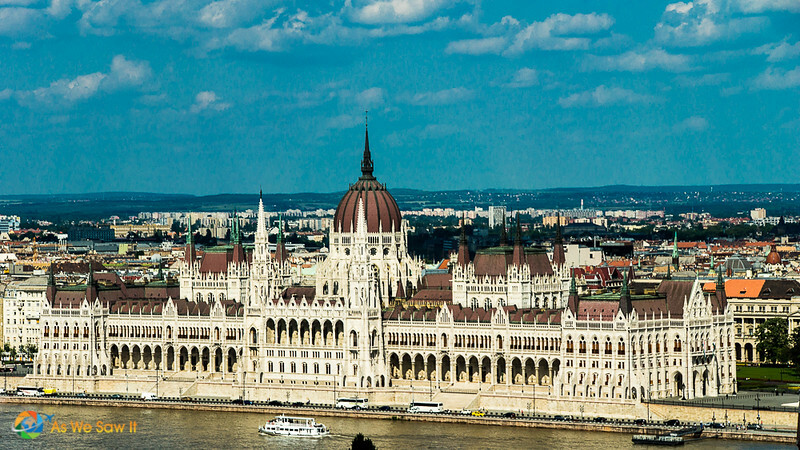 We’d suggest a bare minimum of two nights in Budapest. Four or five days would be best. Budapest is such an enchanting city isn’t it, Linda? For me it was love at first sight. The first time we went we stayed in a Bed and Breakfast up in the Buda Hill, right below Mátyás Templom (Mathias Church). We should see the Danube from our window and the entire Pesta side. Your post depicts so well all the beautiful landmarks of Budapest. How could one not fall in love with this city? But although I’ve been in Budapest so many times, there is a place I haven’t photographed yet: those shoes on the river bank. Isn’t that funny? Haha – Join the club. It never fails, we always miss out on something we want to do when we travel. In Budapest, we weren’t able to get inside Mathias Church for photos. 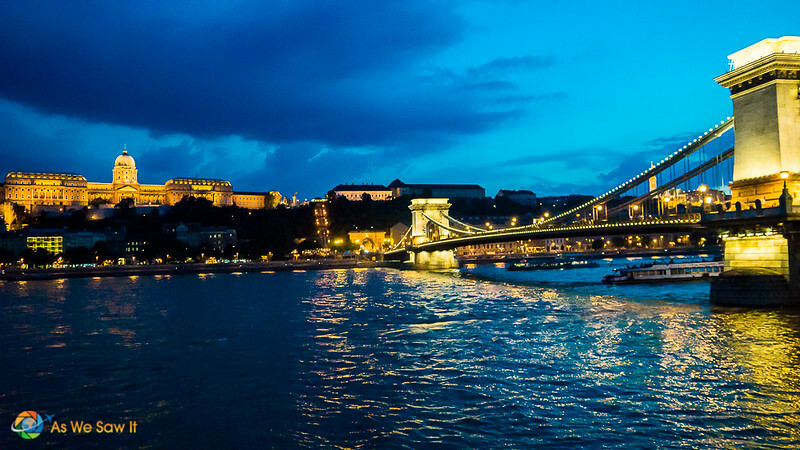 Your photos really highlight the beauty of Budapest! I love the night shot of the Parliament Building. 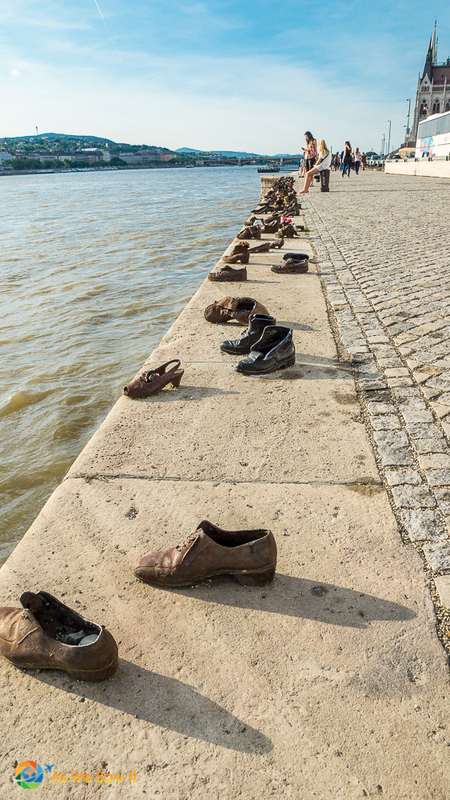 There are some wonderful sights, but the Shoes of the Danube monument looks captivating. Such a horrible event. Definitely want to visit there one day! Thank you for sharing! It always appalls me how cruel people can be, but I really loved how there are candles burning in the shoes every evening. Obviously there are just as many people with compassion. Budapest isn’t Vienna, but it is similar. We were really impressed with the quality of life there, not to mention how affordable things are! 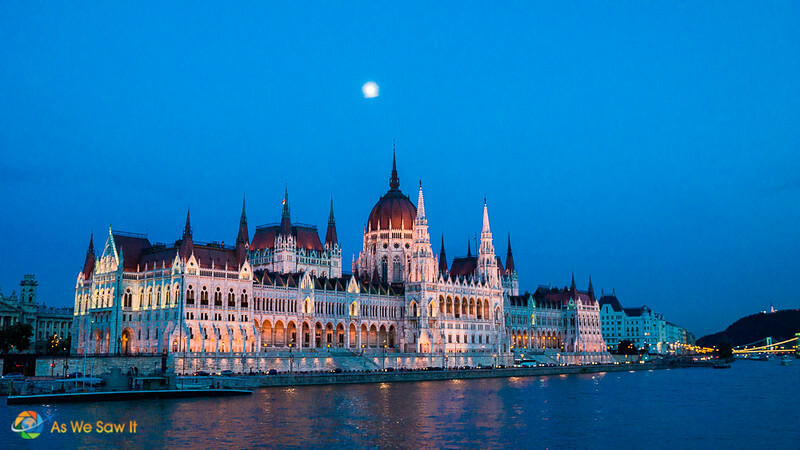 I am definitely bookmarking this for my trip to Budapest! Those baths!!!!! Amazing! You think so? The couples massage we enjoyed first was even better. 😉 Together, it was fabulous … and the price was crazy-cheap. Thank you, Aditi. We got so many good pics it was hard to choose which to share here.